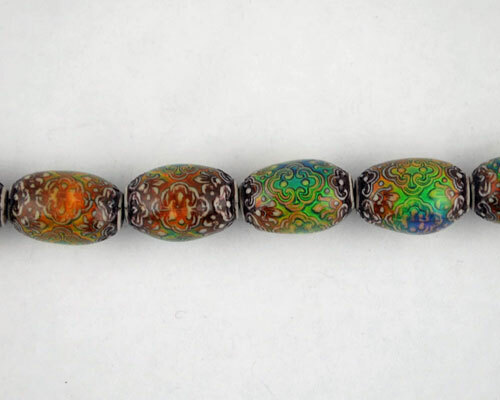 Fancy mirage bead "Persian Beauty"
Polymer mirage bead, 20x14mm. Glowing with beautifull colors, watch them change. Also called mood beads.